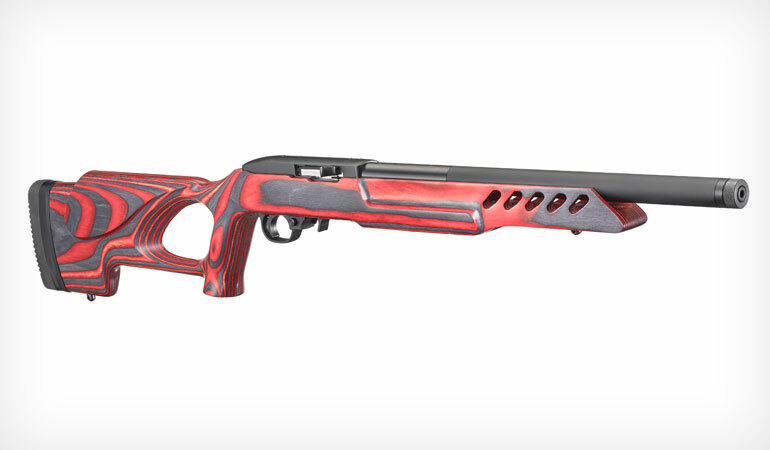 It’s good to see Ruger jump into the good-looking stock game, and red and black was a natural choice for this new 10/22—being as red is Ruger’s color. The stock is a laminate, and length of pull is adjustable. It incorporates the company’s upgraded BX-Trigger, which offers a 2.5- to three-pound trigger pull, as well as the new-ish extended magazine release. The cold-hammer-forged barrel is enveloped in an aluminum alloy barrel sleeve that’s threaded 1/2x28 for a muzzle device. A combination scope adapter that handles both Weaver-style and .22 tip-off mounts comes with the gun. The company that pioneered gun-mounted lasers is getting into the scope biz. The line includes 30mm and 34mm main tubes and powers ranging from 1-24x24 to 5-25x56mm, and all have the reticle in the first focal plane. 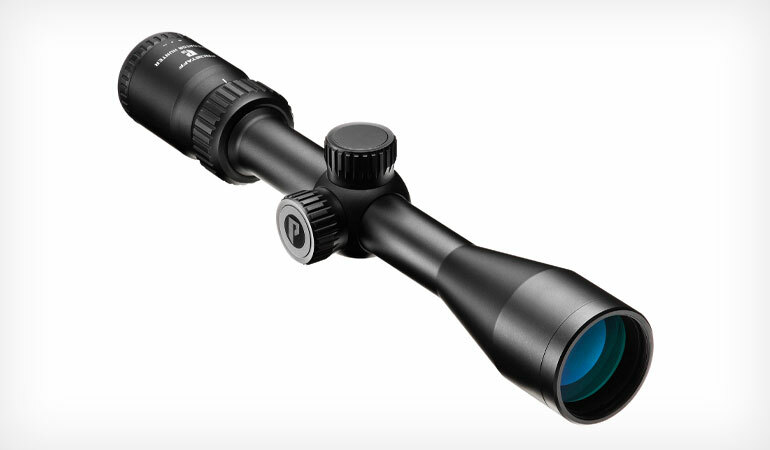 The tactical scopes in the family feature mil adjustments while the sporting models are in m.o.a., and several models offer illuminated reticles. All are fog-, shock-, water- and dustproof and come with flip-up ocular caps. A classic returns. 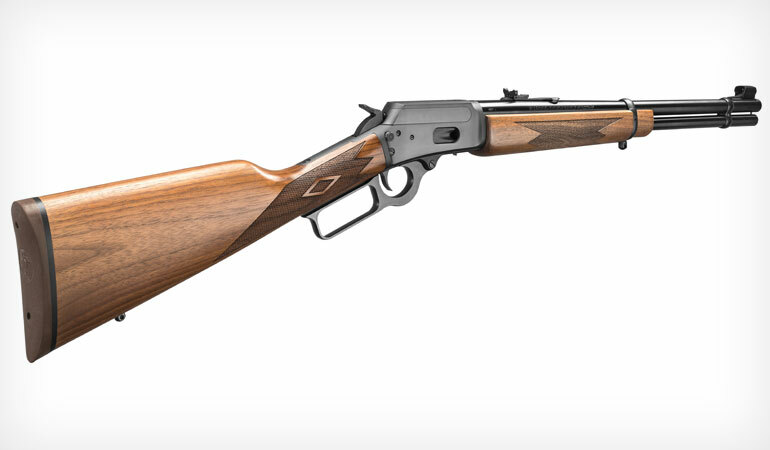 The Marlin 1894C, chambered in .357 Mag., is a light, fast-handling lever action. And it’s strong, too—fashioned from premium steel—with a smooth action. The receiver and trigger guard are manufactured out of heat-treated, solid-steel forgings, and the deeply blued metal work is complemented by walnut buttstock and fore-end. Traditionalists will appreciate the 10-shot tubular magazine and semi-buckhorn folding rear sight. 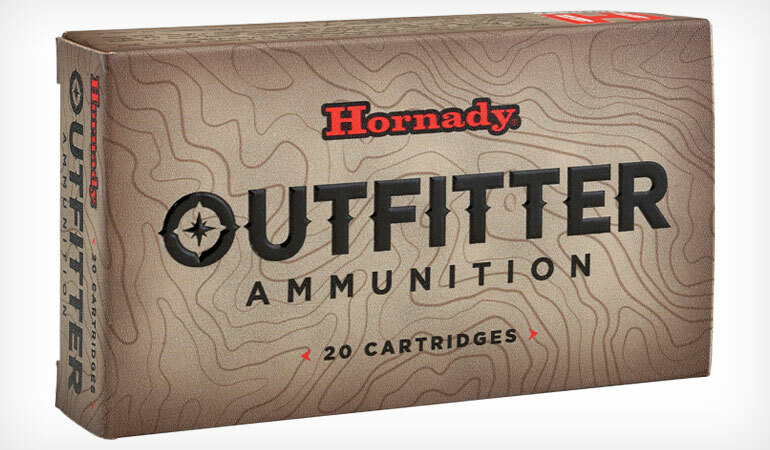 This new family from Hornady features the proven GMX monolithic copper alloy bullet, one that promises sure expansion, deep penetration and 95 percent weight retention. Both primer and case mouth are sealed to keep out water, and the cases themselves are nickel-plated and waterproofed. 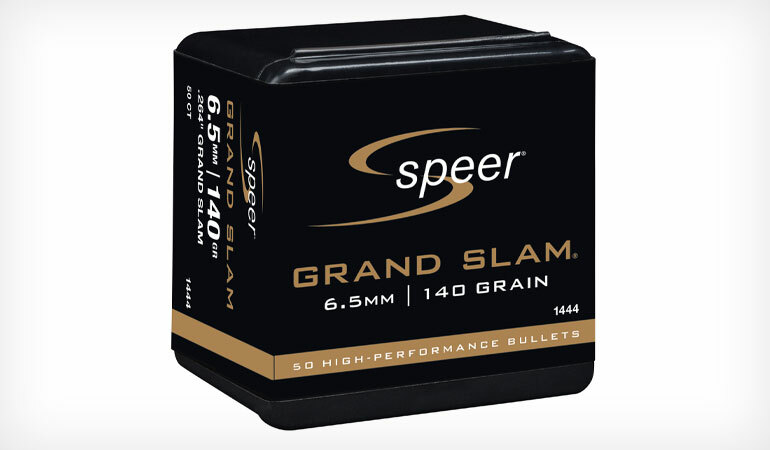 Initial offerings include .243 (80 grains), 6.5 Creed. (120), .270 Win. (130), .270 WSM (130), 7mm WSM (150), 7mm Rem. Mag. (150), .308 (165), .30-06 (180), .300 WSM (180), .300 Win. Mag. (180), .375 H&H (250) and .375 Ruger (250). 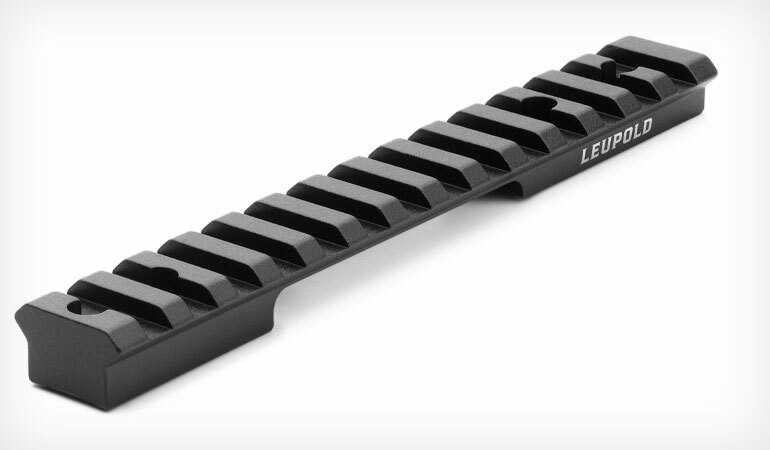 Leupold’s rings and bases enjoy a well-deserved reputation for dependability, and now the company is offering a new aluminum cross-slot line for hunters and competition shooters looking to shed a few ounces on their rigs. They’re machined from 7075-T6 aluminum, and they offer more contact between base and ring for stability. The bases fit both Picatinny and Weaver style rings, and they’re available with zero elevation or 20 m.o.a. 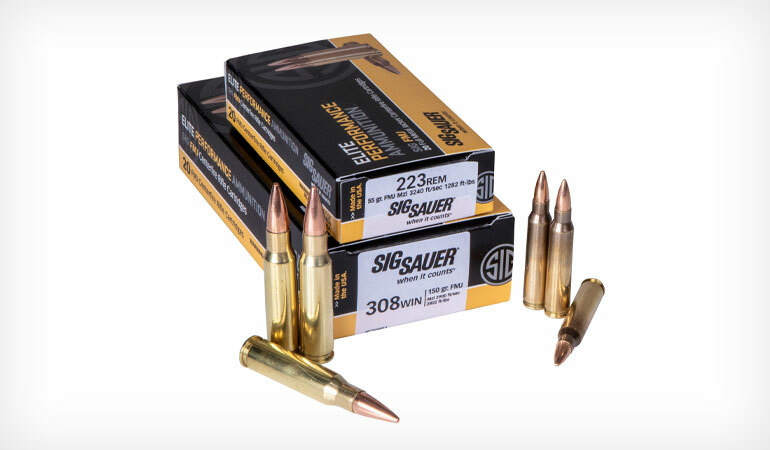 SIG continues to build out its ammo line with two full-metal-jacket offerings: .223 Rem. and .308 Win. The .223 load is the standard 55-grainer with a muzzle velocity of 3,240 fps. The .308 is a 150-grain bullet traveling 2,900 fps. They’re loaded with the same clean-burning powder the firm uses in its V-Crown line. 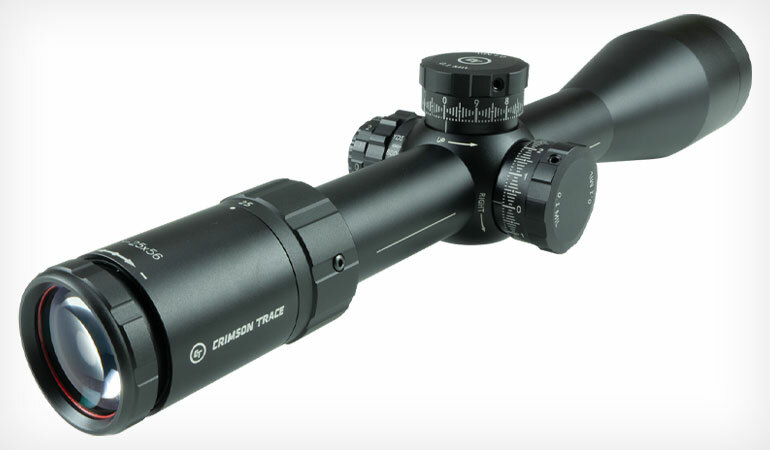 These two one-inch scopes are purpose-built, with multicoatings designed to provide the best clarity at first light and last. Available in 3-9X and 4-12X, both have 40mm objectives and feature 1/4 m.o.a. clicks and resettable turrets. The reticle in both is the BDC Predator, which features a series of aiming circles. The reticle can be optimized for almost any caliber by using the company’s free Spot On app or web software. 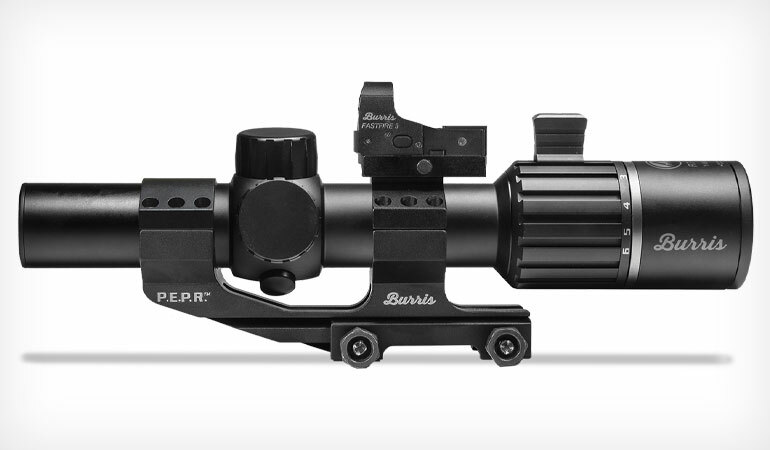 Burris is again shipping its popular RT-6, a competition and “fun tactical” optic 1-6X with a true 1X low end and built-in throw lever. But why stop there? If you’re really into either competition or “fun tactical,” you might as well go whole hog. The Close Quarter kit gives you not only the RT-6 but also a P.E.P.R. mount integrated with a FastFire 3 red dot sight—the latter allow you to roll the rifle and access the red dot for fast, close shots or unusual shooting positions while the scope, with its Ballistic AR reticle, lets you engage targets accurately to 600 yards. And by going with the kit, you save money over buying each component separately. 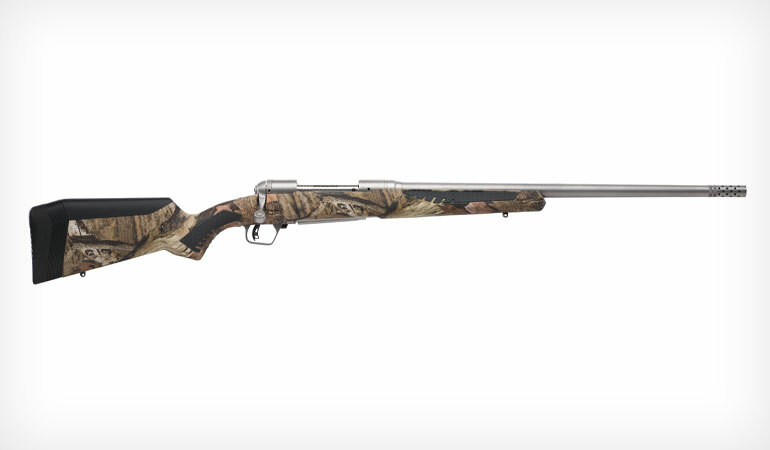 Take the dependable 110 action, throw on Savage’s new AccuFit stock system, a muzzle brake and a Mossy Oak Break-Up Country synthetic stock and you have the Bear Hunter. This hard-hunting rifle is chambered to five hard-hitting cartridges: .300 WSM, .338 Federal, .300 Win. Mag., .338 Win. Mag. and .375 Ruger. If you aren’t up to speed on the AccuFit, it allows you to easily change comb height and length of pull for a custom fit, and the stock also incorporates soft gripping surfaces on fore-end and pistol grip. The 23-inch stainless barrel is fluted and sports a Heavy Magnum taper. Of course the rifle incorporates Savage’s outstanding AccuTrigger. 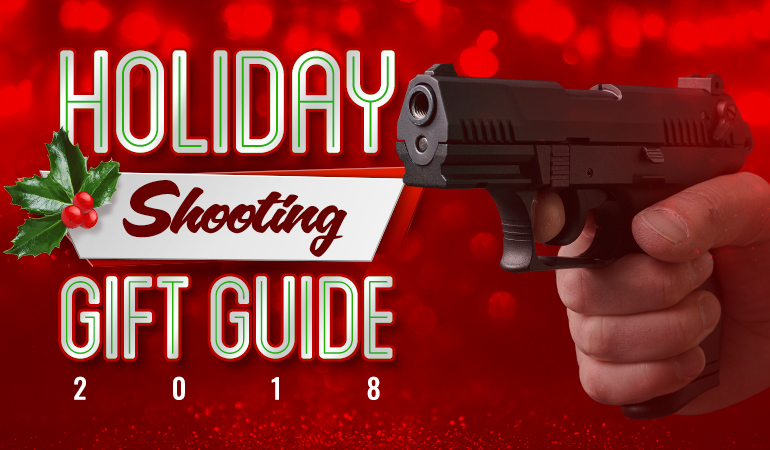 Discover tried and true tips, tactics, and techniques from the pros along with advice on buying gear and firearms from experts including Craig Boddington, Brad Fitzpatrick, Layne Simpson, and J. Scott Rupp. 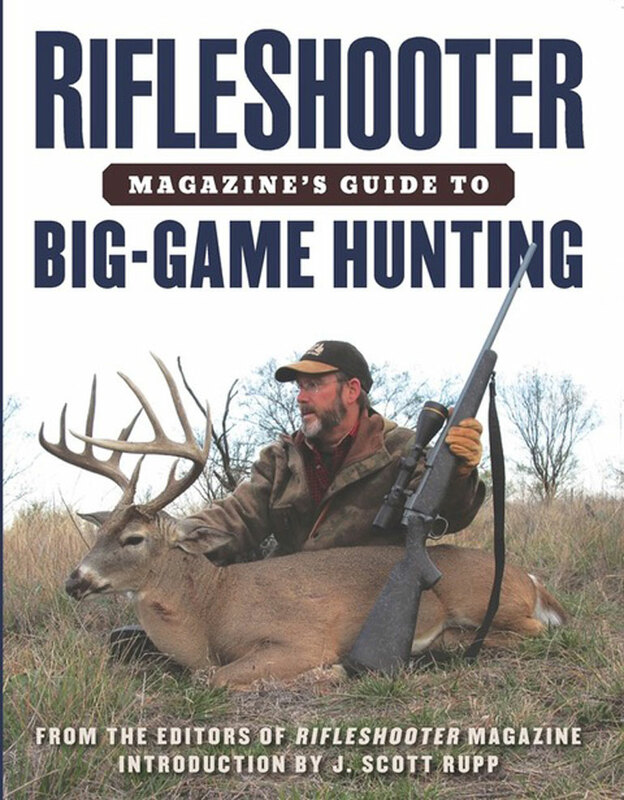 RifleShooter Magazine's Guide to Big-Game Hunting covers everything you need to know about effectively hunting big game with rifles.